Yes, my round-ups have now extended north of the border. 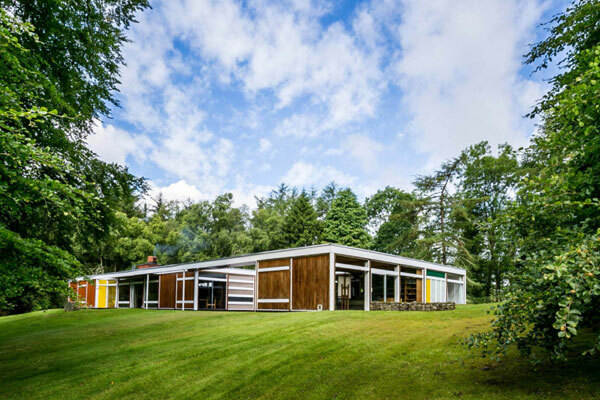 This is Modernist Scotland, the top 20 most popular house finds throughout Scotland over the course of the site. Sadly, the recent (and popular) time capsule in Sterling didn’t make it, but everything else of merit did. Something oh-so-1970s to get the ball rolling. 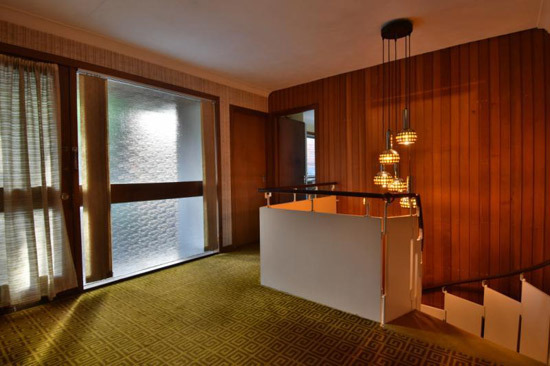 Built in 1974 by an unnamed ‘cutting edge Glaswegian architect’, it had barely changed since construction and still boasting the vaulted timber ceilings, walls of glass and the original fireplace. Nice kitchen too. Something retro to something at the other end of the spectrum. This one dates to 2002, but still looks as modern as they come. 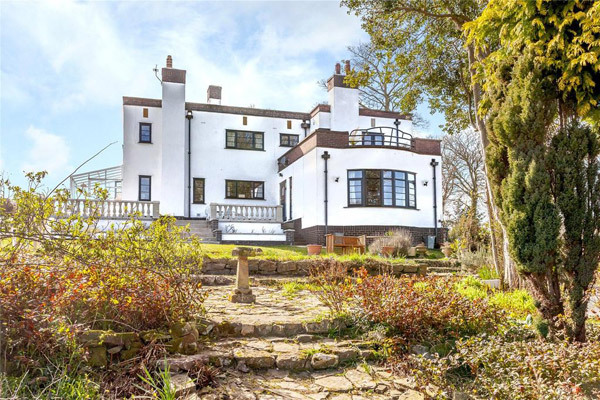 It sits within the ‘historic walls’ of a former fruit garden of the old house and at the foot of Lomond Hills, which is around 16 miles from St. Andrews. 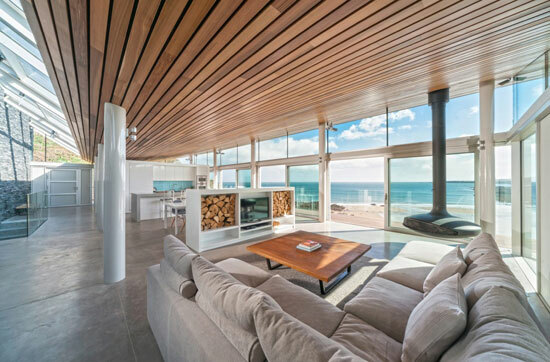 Clean lines, extensive glazing, eye-catching wood cladding and lots of open living space. Very stylish and very ‘now’. Amazing to think that I only featured this one in February of this year. Tells you just how popular it has been. 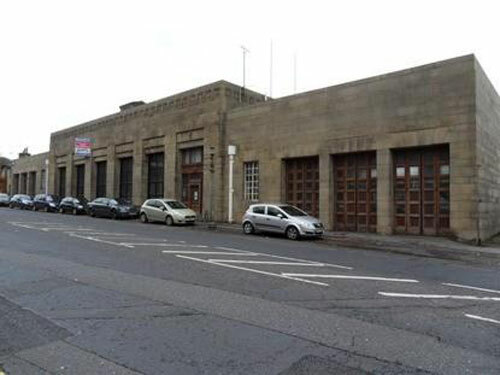 The building is obviously the star of the show, one of the best preserved are deco buildings in Glasgow and with a category B listing status since 1988. But it isn’t the whole story. The owner has done a wonderful job on the interior, even getting it featured in one of the high street interiors magazines. Desirable inside and out. 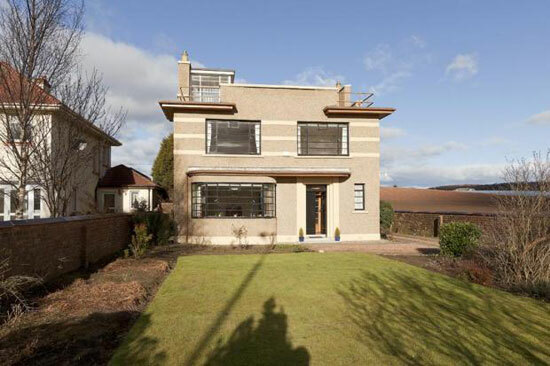 Art deco in St Andrews? Always going to be popular. This one was down as having ‘many original features’, although the overall look and feel was a modern finish in a period frame. Nothing too radical with the inside though and likely to appeal to fans of the style. 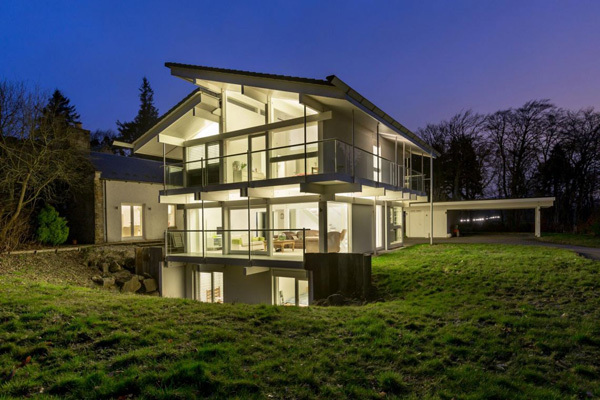 The house occupies the site of a former Edwardian pavilion, with this new building offering ‘a dramatic and very privileged position’ as well as some hip, modern architecture to enjoy inside. Panoramic views formal rooms and details such as polished concrete floors, underfloor heating and every premium finish you could hope for. Love the fireplace. At first glance, a relic from the past. But look more closely and you will find it’s a slightly different story. Much of the 1960s design remains and for good reason. This is a very striking building. But inside is a mix of the old and the new, with much of the house renovated, keeping a number of period details in place. Good work. This one really doesn’t look like anything on the face of it. But that was part of the appeal. 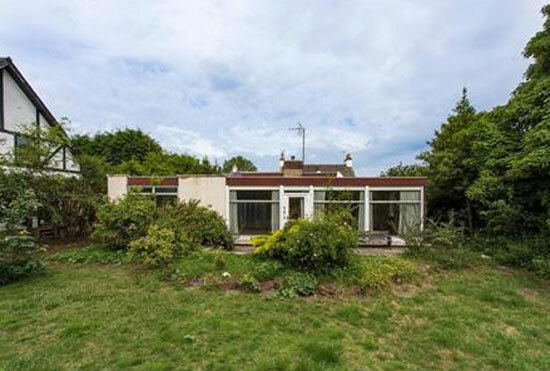 Yes, this is a 1960s time capsule, one that was being pitched as a potential knockdown, but also a house packed with original details that would have formed the basis of a period renovation. 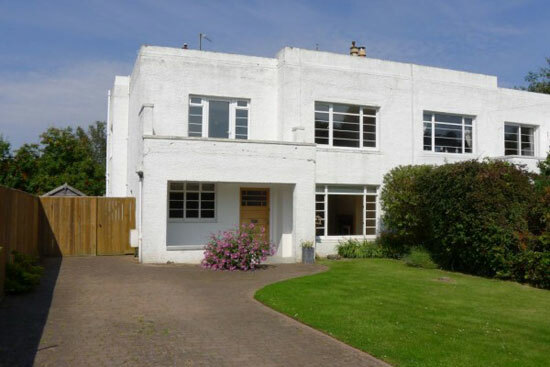 At £295k, it also had price on its side. One time capsule quickly followed by another, albeit from a different decade. 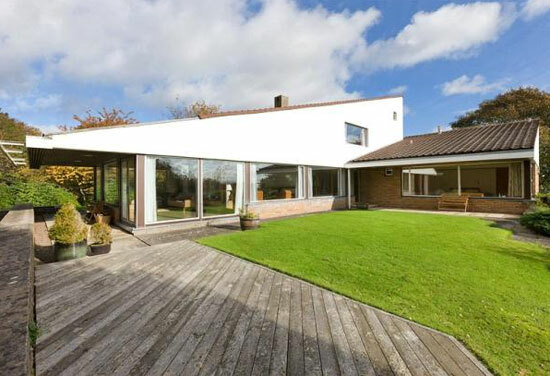 This one was described as a Scandinavian-inspired property and one that could double as a film set for a 1970s period drama. Just check out the kitchen and bathroom for evidence of that. 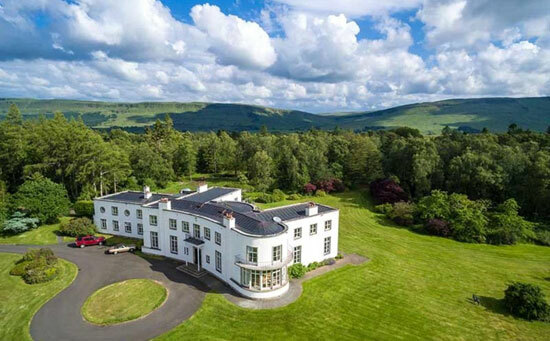 If you love that decade, this could be your dream house. The first of two similar houses, both the work of the same architecture practice. It was a first time on the market and largely unchanged, a mix of bold angular architecture, open living space and some nice wood details throughout, both for the ceilings and built-in fittings. Plenty of garden too and a price that will leave you shaking your head. I know what you are thinking. 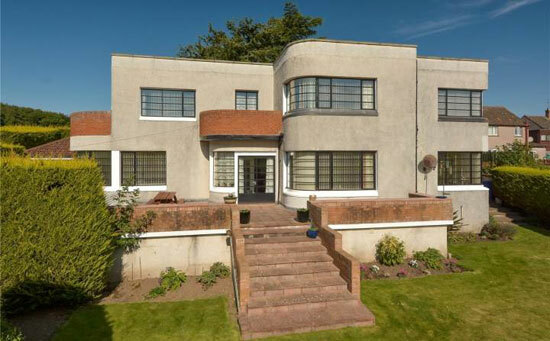 A perfectly preserved art deco house. But you are wrong. 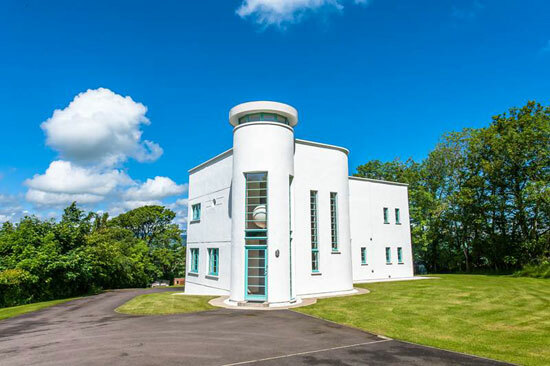 This house was only completed in 2012, taking inspiration (of course) from architecture of the art deco era. The exterior might convince you otherwise, but the interior probably lacks the killer period features to completely fool you. 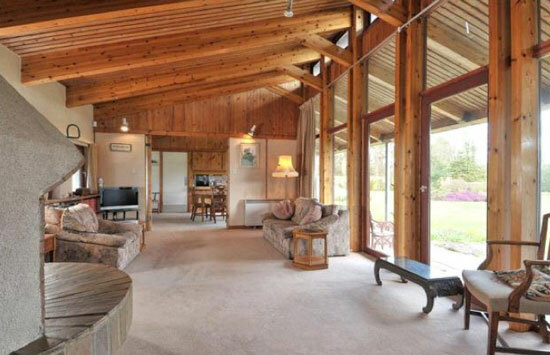 Still, this is a handsome property and like many featured here, was cheaper than you might have thought. It might be a photo taken in the 1930s but this one was actually taken fairly recently. Fairbank was built for the ‘local slaughterman’ Frank Gysels whose initials and those of his wife still adorn the period entrance gate of the property. Sadly, the interior has changed considerably since Frank’s day, but the exterior is the selling point here, along with the windows, the space and the setting. You didn’t need to buy this one. It was actually a holiday let. 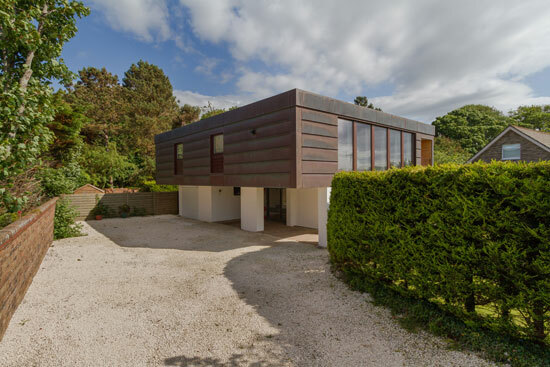 It dates back to 1968, the work of architect Trevor Dannat and sat on one of the large private estates in the area (around 46 acres). Inside and out it looks to have barely changed over the decades, with so many details to appreciate. But that’s more by design than accident. A retro Ikea light fittings hints at something that has had a very impressive period makeover to go alongside the 1960s features. 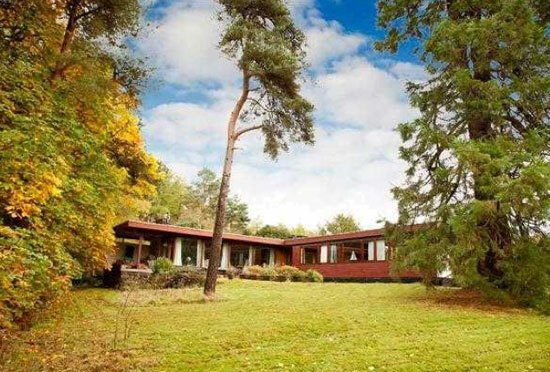 An untouched 1960s midcentury modern house for under £400k. Of course it was popular. Likely to have been on the market for the first time, this single-storey build has floor-to-ceiling windows, wood floors, wood panelling for the walls and ceiling, exposed brick walls, built-in furniture, a sliding wall to partition the dining room from living room and a wood exterior that works well with the woodland all around. You get over an acre of natural woodland and gardens with this place too. Wonderful. Looking for something grand? It doesn’t get much more grand than this place. 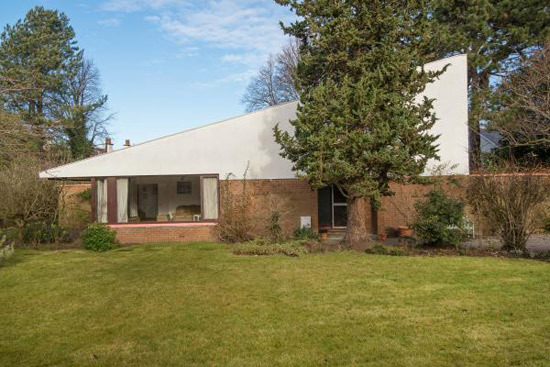 A-listed, this is one of three private houses designed by Basil Spence prior to the Second World War. 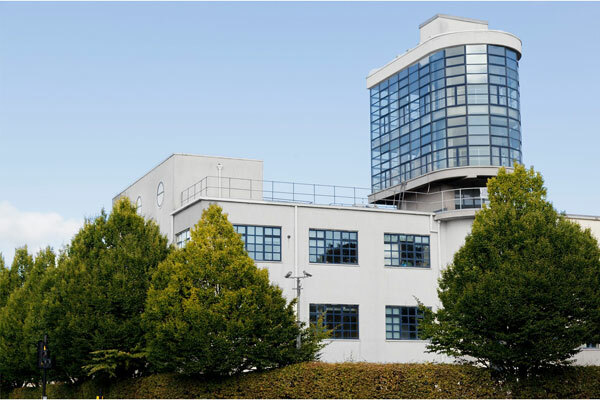 It was described as ‘an inverted F-plan with projecting wings to the south’ and a ‘service wing’ on the east, with an interior said to have a feel of ‘Hollywood’ about it. It still does, but the house has been updated without losing the drama of the original build. Extra properties in the 148 acres of land too. Yes, a second Morris & Steedman and looking rather similar to the last. Similar angles, same 1960s features, but in this one, more of them and just a little bolder in its style throughout. Lots of space and lots of land too if you need it. A second from 2018 and another hugely popular house when I published it. The work of an architect ‘whose career was blighted by an inability to compromise’, this is a typically uncompromising build and one that is packed with original details, but perhaps in need of some love, not least with the rooms updated over the years. A Huf Haus in Scotland? Yes indeed. One of just seven in Scotland. 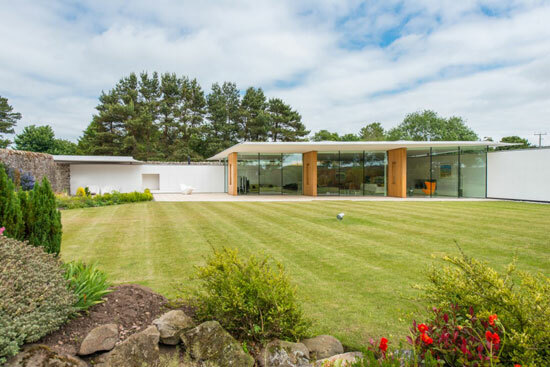 Sat in a substantial plot not far away from Edinburgh, it is everything you expect from a Huf Haus, with the beams, walls of glass and open spaces. The difference here is that at £675k, it is cheaper than most I see. A rare Category A listing from Historic Environment Scotland and a fully deserved one too. This is a modernist classic. 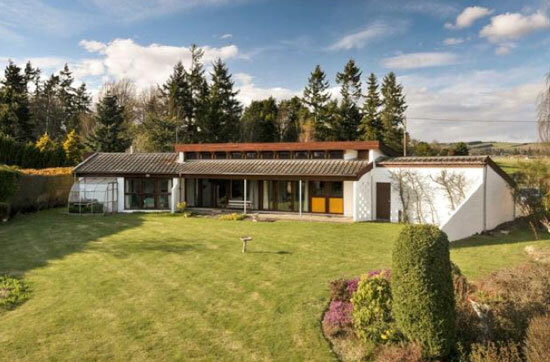 Dating back to 1957, this stunning single-storey, midcentury modern property sits in over three acres of land, offering some wonderful views of the Scottish countryside through its floor to ceiling windows. Some lovely built-in fittings, premium finishes throughout and an additional studio wing added later but with architect Womersley’s approval. This really is the dream. 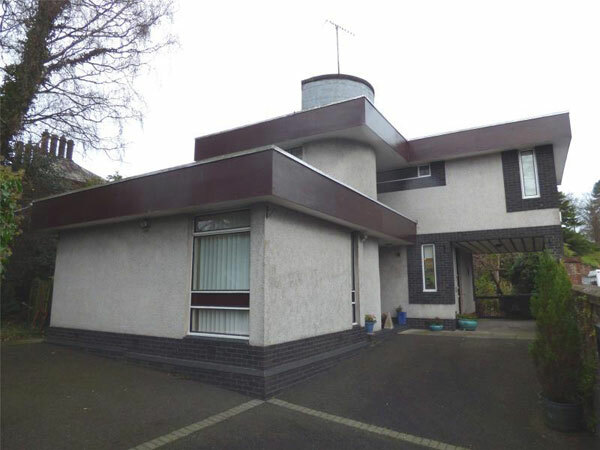 Built by an architect for his own use back in 1964 and barely changed since. Not that it has stayed in the same hands. Other owners have come and gone, but all have respected the design and the finish of this one. 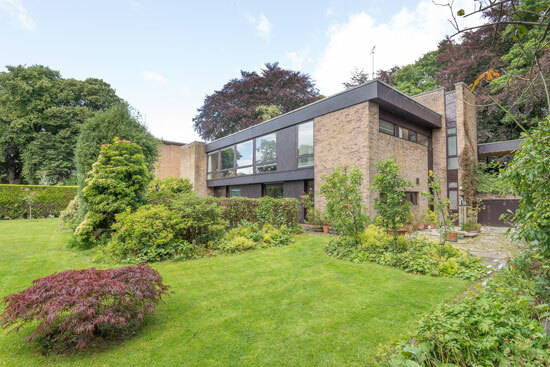 I love the full-height glazing, wood panel ceilings, exposed brick and wood walls, the original fireplace, the distinctive open staircase, fitted storage and the wonderful 1960s kitchen. Space aplenty of course. No surprise seeing this one top of the pile. 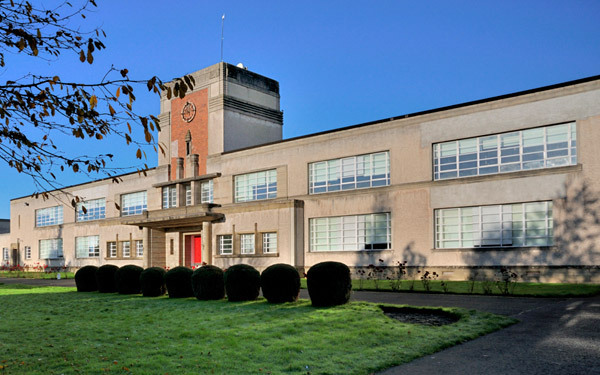 It’s an art deco gem and a much-loved building. Loved because of the architecture but also because of the finish. 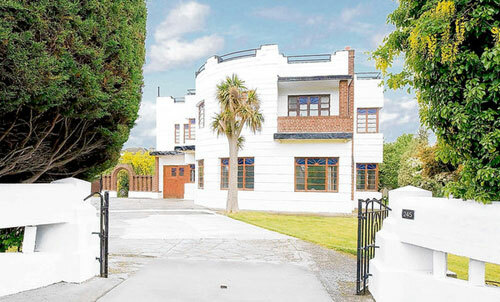 The house is that rare example of an art deco property unchanged inside and out. At least from what I can see. 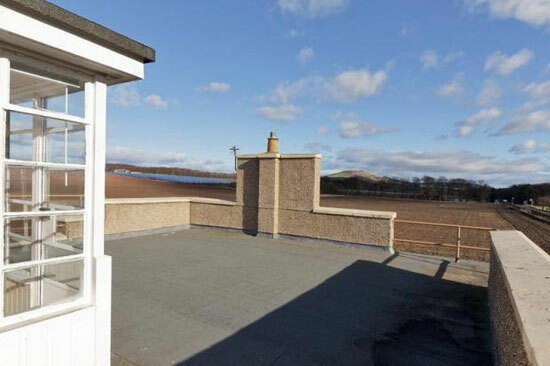 A roof terrace too, with some amazing views over Scoonie and Leven Links Golf Courses to the Firth of Forth and beyond to the Pentland Hills. Amazingly, it was up for just £225k. That’s the round-up completed but if you want to keep up with the latest house finds in Scotland, the section to find them in is here, as well as the Scottish border section. 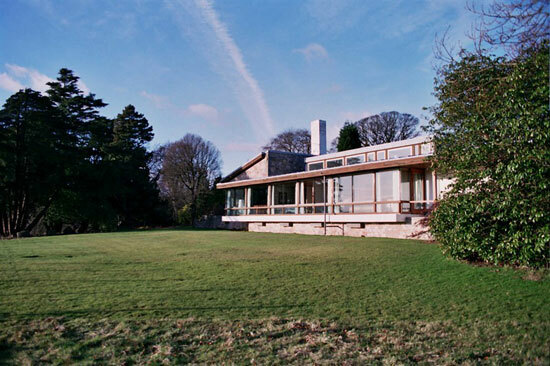 stuart rentons home on loch rannoch was a unique home of contemporary design, forward thinking…a truly exquisite scandinavian influenced gem. the current owners have completely destroyed the interior…painting the douglas fir panelling, defacing the original open fire, installing skirting, downlighters, central heating, carpets. Ripping out the original kitchen. thank goodness it was B listed as they took possession from dear ethnie renton. A sacrilege.